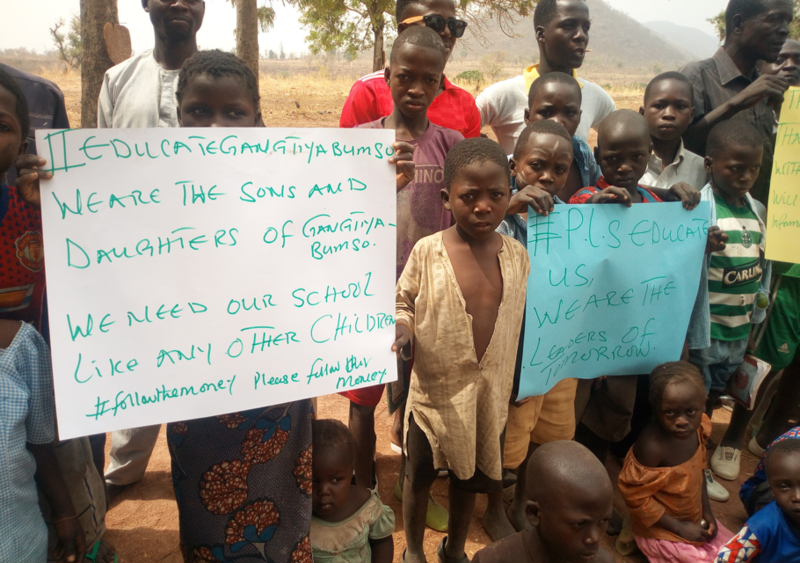 The Universal Basic Education Commission in its tender advertisement, which was tendered on 5th October 2017, called for bids on the construction of a block of 3 classrooms with furniture and instructional materials at GangtiyaBumso Community in Gamu, Ganye LGA, of Adamawa state as one of its 2017 constituency projects. 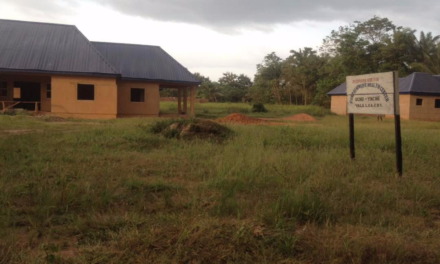 The project is at the cost of NGN 20 million with Project Code: UBE82398964. Gangtiyabumso is a rural community within Gamu in Ganye LGA of Adamawa state with an estimated population size of 5,000 to 6,000 est. From Gamu to Gangtiyabumso is about 5 – 6 km. To this! 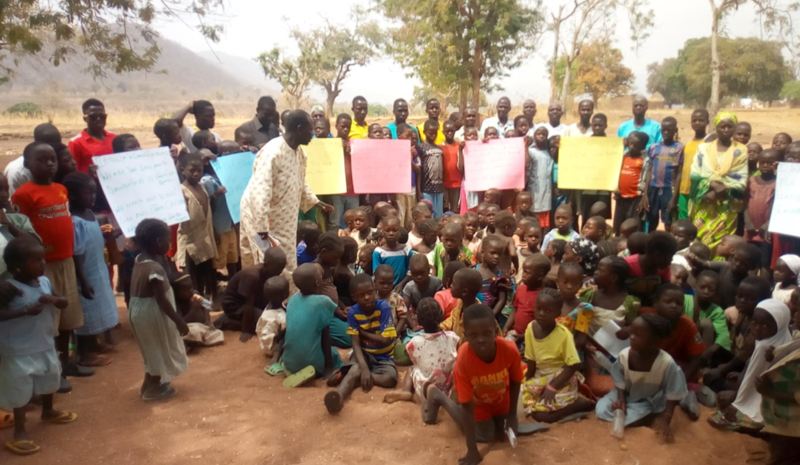 Adamawa Follow The Money team has Initiated a campaign, #EducateGangtiyabumso to track, monitor and facilitate the implementation of this project and provide all necessary information to the beneficiaries. We, therefore, call on all stakeholders, UBEC, ADSUBEB and the general public to drive conversations and participate towards the full implementation of this project. 18 March 2018: During a tour around the construction site to evaluate the level of work done, the team gathered that construction is 60% complete and should be fully completed in two weeks time. 18 March 2018: The contractor was not on site due to some health challenges and was said to be hospitalized in Yola, during our latest visit, but the team discussed with the project supervisor who stated that the contract letter they received from UBEC is Construction of 2 Classrooms in Gangtiyabumso Primary School in Gamu District, Ganye Local Government and they are working according to specifications. 18 March 2018: The Honourable Member Representing Gangtiyabumso at National Assembly, Honourable Abdulrazaq Sa’ad Namdas visited the construction site. 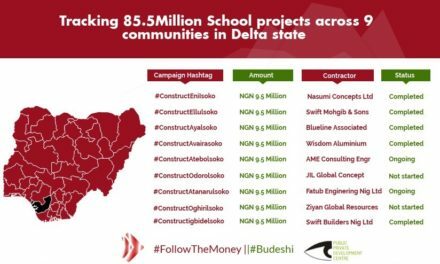 In his speech, he enlightened the community that the construction work was reduced to 2 classrooms instead of the 1 Block of 3 classrooms and instructional materials as specified on the UBEC tender advertisement due to the financial incapacitation of the board. 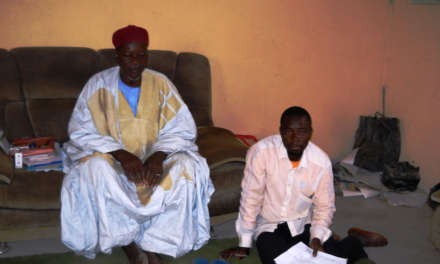 After the Member informed the community about the project implementation, he further promised them that he will provide furniture with his personal fund. 18 March 2018: During the visit to monitor project implementation at the school, FTM team also learnt of an existing issue between the contractor and the community. The community members of Gangtiyabumso wanted to know why the contractor was building only 2 classrooms instead of 1 Block of 3 classrooms and instructional materials as was stated in the UBEC tenders board advertisement. 18 March 2018: Construction at the school premises has commenced. This was ascertained during a recent visit paid by the Adamawa State Chapter of Follow The Money. 04 March 2018: The team was informed by the PTA Chairman of Gangtiyabumso Primary School that two UBEC personnel were at the village (site), they informed the community that materials for construction of the Primary School will start arriving the community this week. 23 February 2018: The Team Informed the community on the next step to hold a town hall meeting that will incorporate all the stakeholders, to discuss more on the project and hence facilitate implementation. 23 February 2018: The Schools Assistant Headmistress Madam Rufkatu, lamented the challenges the school has been facing and the difficulty the student is having, sitting on the ground to receive classes under trees. She further pointed out that the tree serves as the staff office for the teachers and ceilings are used as their blackboards and sometimes charcoal is used in the absence of chalk from the communities. 23 February 2018: The FTM team interviewed The P.T.A chairman Julde Damuri who further explained how their children suffer during the rainy season and how they buy chalk and other instrumental materials for the government school. 23 February 2018: The Village head further stated that the school was established in 1974 with 2 classrooms, with more than 5 villages benefitting from it. 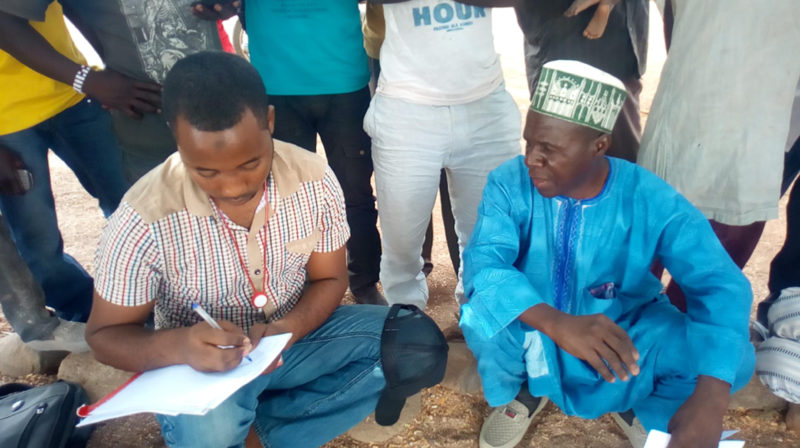 23 February 2018: The Village Head Hamman-Adama Hamza in an interview with the FTM team about the project highlighted that last year the community met with the Executive Chairman of Ganye LGA and they were informed about the project, but since then no one has intimated them on the project, not until the FTM team visited them. 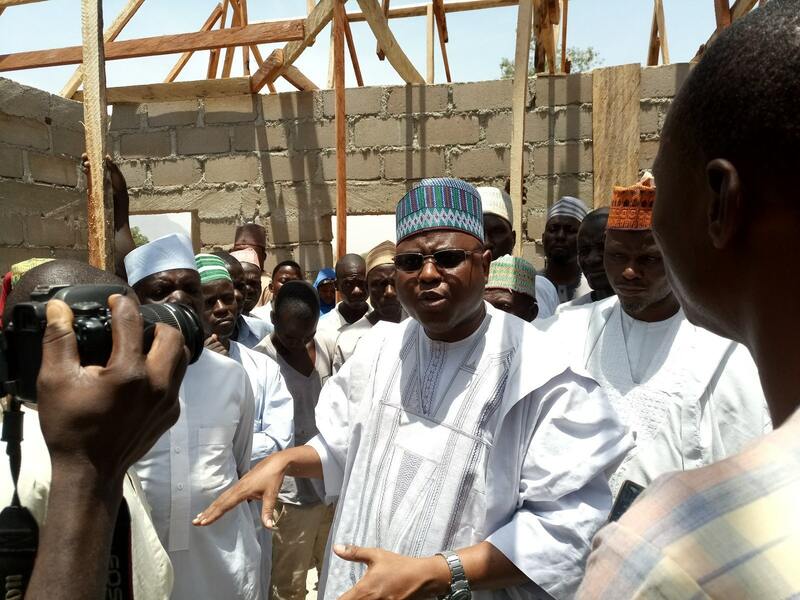 23 February 2018: Adamawa Follow The Money team visited GangtiyaBumso community to further gather information and track the construction of a block of 3 classrooms with furniture and instructional materials at GangtiyaBumso Community in Gamu, Ganye LGA, of Adamawa state as one of its 2017 constituency projects. 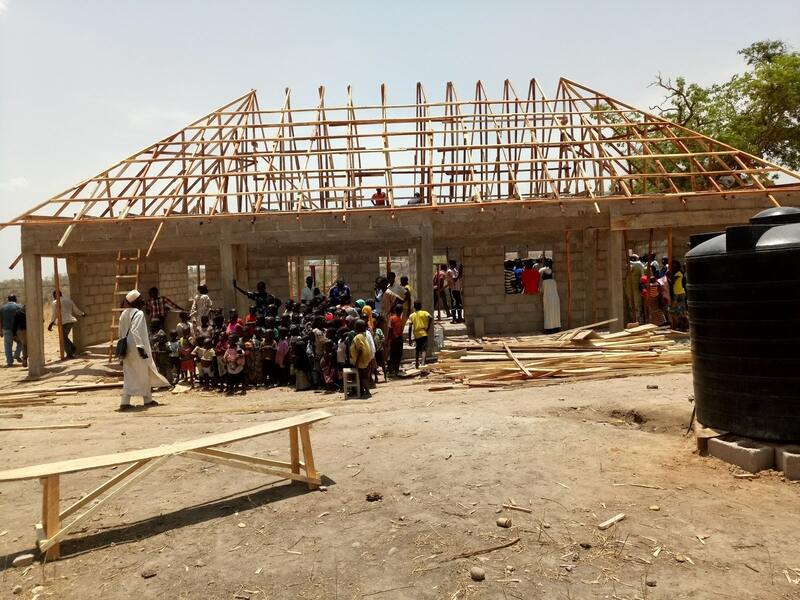 #ErectLamba – Tracking N 14.2Million for the Construction of Primary Healthcare Center at Lamba District of Wase Local Government Area, Plateau State.